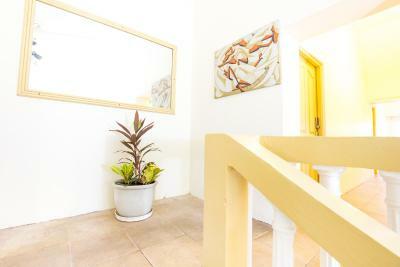 Lock in a great price for Mustique Suites Curacao – rated 8.4 by recent guests! The beds are comfortable. The wifi works well. The location is 20 min walk from the centre so it's not bad, for the price you pay. The man, who seems to be the owner, is very nice! Staff was fabulous. Morena was extremely nice, patient, attentive, and very knowledgeable. 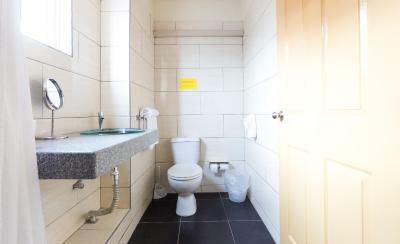 The room was spacious and was cleaned daily. Location was convenient and the neighborhood was quiet and seemed safe. Ambiente tranquilo e proprietário bem atencioso, a morena gentil e muito prestativa. de persoonlijke benadering door Morena.Zlo hartelijk en hulpvaardig. Geen moeite was haar teveel. Deze suites zijn echt een aanrader. Mustique Suites Curacao This rating is a reflection of how the property compares to the industry standard when it comes to price, facilities and services available. It's based on a self-evaluation by the property. Use this rating to help choose your stay! 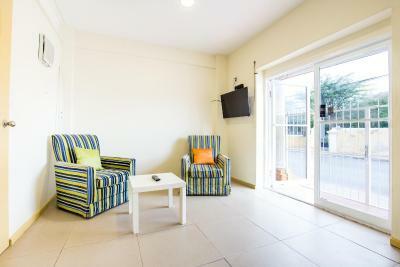 Located in Willemstad’s central Otrabanda district, Mustique Suites Curaçao offers bright accommodations with free Wi-Fi and free parking. 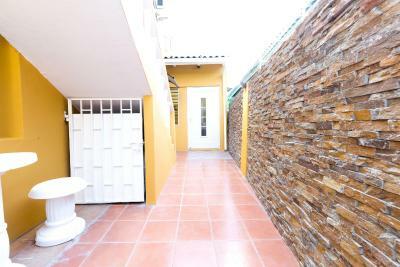 It is just a 5-minute walk from shops, restaurants and beautiful colonial buildings. 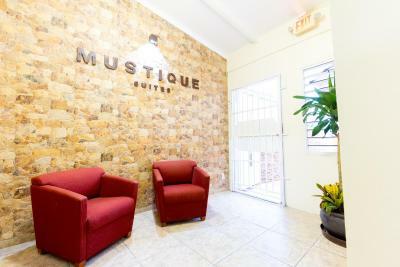 Mustique Suites is set in a restored house with functional, contemporary-style décor. 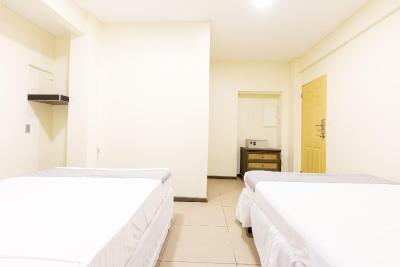 Each room features high quality mattresses, air conditioning, a cable TV, a refrigerator, tiled floors and a private bathroom with a hot water shower. The surrounding streets are lined with local and international restaurants, as well as fast food outlets, museums and bars. Colon Shopping Center is just 1,150 feet away. 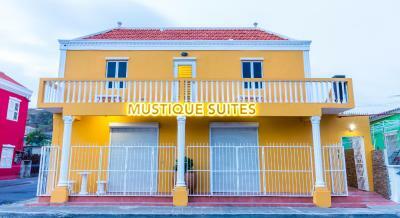 Mustique Suites Curaçao is located on the edge of Willemstad’s historic old town, a UNESCO World Heritage Site. The seafront and the Queen Emma floating bridge are a 15-minute walk away. 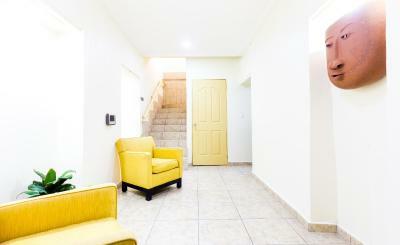 When would you like to stay at Mustique Suites Curacao? 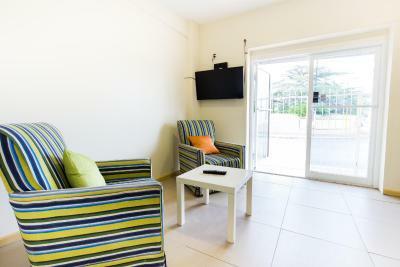 This bright, functional studio offers contemporary-style décor and free Wi-Fi. 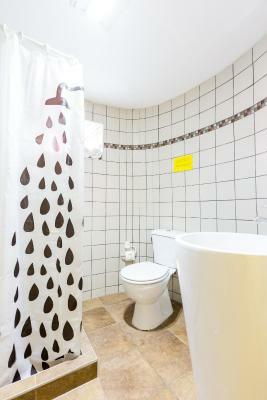 It features a king-size bed and a private bathroom. 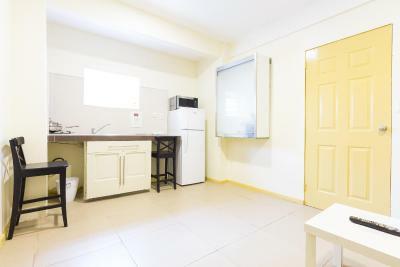 A fridge, hob and microwave are available for a fee of US $5.00 per day. 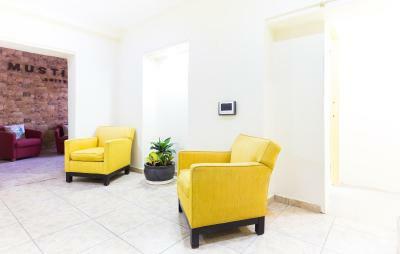 This bright, functional room has contemporary-style décor and free Wi-Fi. 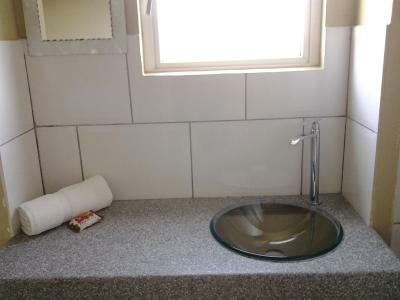 It features tile floors and a private bathroom. 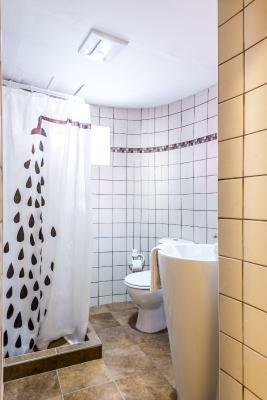 The Quadruple Room features a cable TV, a bathroom with a toilet and shower, and a safety deposit box. 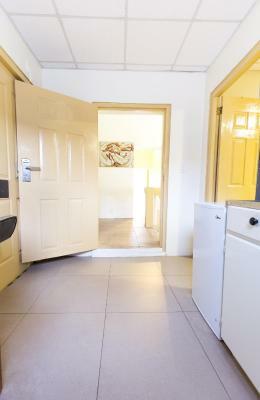 The room also features tiled floors and air conditioning. House Rules Mustique Suites Curacao takes special requests – add in the next step! 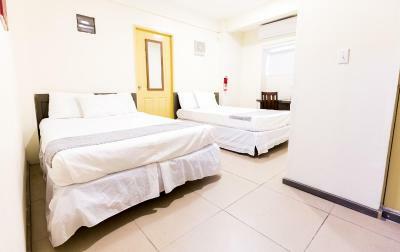 All older children or adults are charged USD 15 per person per night when using existing beds. Mustique Suites Curacao accepts these cards and reserves the right to temporarily hold an amount prior to arrival. Reception is open until 17:00. If you expect to arrive outside reception opening hours, please inform the property in advance. 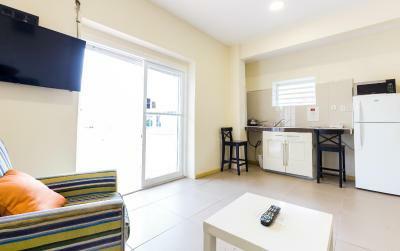 You can leave a note in the Special Requests box when booking or contact the property using the contact details found on your booking confirmation. Please note that free on-site parking is limited and should be reserved in advance. You can leave a note in the Special Requests box when booking or contact the property using the contact details found on your booking confirmation. Location: In the description of the hotel it says that it's a 5 min walk from the centre (where the colorful houses are and all the restaurants, shops) but it's a 20 minute walk in average (yes we did time it). 20 min is not bad at all but this should be mentionned in the description. 5 min walk you would expect to be right in the centre. Staff: We figured that the owner is the tall man and there are two ladies Morena and Rosa who help him. We never met Rosa but Morena did our check in and we bumped into her another time walking on the street looking for a bus stop. The fact that Morena does not speak one word in English is a negative for us. There is absolutely no way to communicate with her if you need something or have questions she just keeps speaking broken spanish as if we would understand. 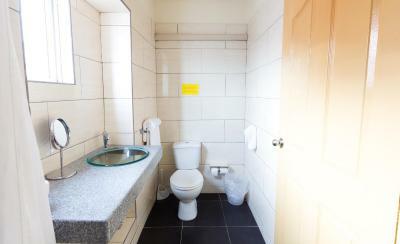 Cleanliness: The bathroom has an awful smell especially when you turn on the water. The toilet does not flush very well. The water being advertised as hot is more like just warm. The pillows were not comfortable. It's not the Ritz, you should not expect this when you book. 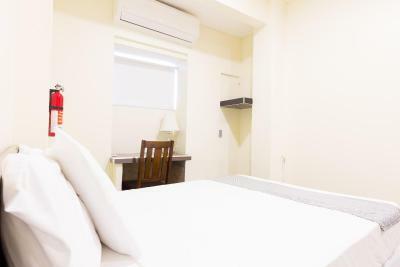 It is a basic accomotation, and this is reflected in the price. However, what it does, it does very well. This is a historic building dating to 1935, originally a bakery with living quarters above, and after many incarnations it is now in the process of being lovingly restored by the owners' son Jacobo. There is beauty and originality here. There are 7 rooms. 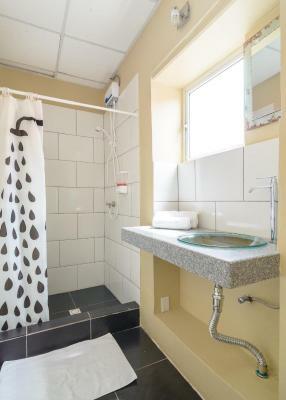 Everything is spotlessly clean, and everything works well from the plumbing to the wifi. There is a fridge in every room. The new windows have light-out curtains. 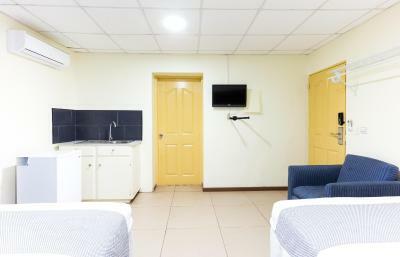 The beds are very comfortable and the pillows are OK. Jacobo was always there, looking after our every need with a smile. However, our main reason for staying here (there were 5 of us, staying 4 days in 3 rooms) was to see the Karnival parades. This hotel and the one next door (Apollonia Hotel) are the only places where you can see the parades close up, from your balcony. This is extremely convenient, a lot better than standing or sitting on the sidewalk. You can dash to your room to change a camera battery or use your washroom - or take a nap despite the noise! Be warned: the parade is accompanied by very LOUD music. Bring ear plugs! The neighbourhood is working-class, and there is a local grocery store a block away where you will find everything you need. There are interesting hole-in-the-wall eateries, a regular restaurant and a Chinese restaurant. The food was very good and we felt very safe. There is a Catholic Church, 2 cemeteries and a museum within a few blocks. Jacobo can arrange breakfast to be brought in for you for a reasonable price. Did I mention the air conditioning? Every room had its own efficient and very quiet air conditioning unit. And a TV with many channels. The shower worked well with good water pressure; the water is heated to a pre-set temperature as it flows in. The hotel felt very secure with bars, locks and video surveillance in the hallways. It is about a 20 minute walk to the the bridge (center of town).